Has your Mac gotten slower over the years? Are you losing bets with your PC/Windows friends when comparing computer start-up time (who does that)? In this guide I will go over the steps on how to change your original mac hard drive for a brand new SSD (Solid State Drive). I’m not going to go over what the technical difference of an SSD versus a Hard Drive, but all you need to know is that SSDs don’t really have moving parts, they are usually smaller, and are much faster than Hard Drives. Also, I’m sure you’ve noticed that we have not mentioned the type of Apple computer this guide pertains to. That is because, this is a very general guide as we will not go over the physical changing of hard drive as it would be quite different steps from a Mac Pro, to an iMac, versus a Macbook. You’ll need an SSD (duh!). If you search the keyword “SSD” on Amazon, you’ll find a bunch with different sizes, obviously the higher the storage size the higher the price. Although SSDs are still quite expensive, their price has dropped drastically over the years. You’re going to need an SSD enclosure to clone your current hard drive to the new SSD. Lastly, you’ll need other tools to open up your computer lids (especially when it comes to laptops and iMacs). I was about to write down a detailed step-by-step on how to clone a hard drive on a Mac computer but it seems like LaptopMag has done a great job doing just that (why re-invent the spindle?). 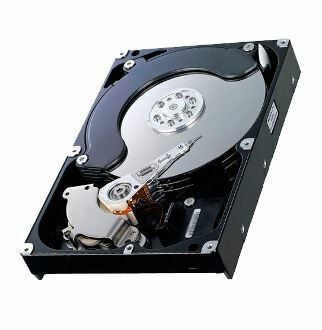 The blog article is about a MacBook Pro but cloning the hard drive should be the same for any Apple computer. Click on the following link and scroll down a little and follow their step-by-step guide. This step is optional as you can still use the SSD as your main drive even though it’s in an enclosure. This option should be considered especially if you are on a desktop such as a Mac Pro and using thunderbolt as your connection. But if you are on a laptop, it would probably be a good idea to put the SSD inside the computer so that you don’t have to carry it everywhere with you. Once again, this guide doesn’t get specific enough to explain how to open up the back panel of a Macbook for instance. Although we do have a funny guide on how to replace a logic board for a MacBook Pro, this may come in handy. For everything else, Youtube is your friend. I just did a search on how to replace a hard drive on “insert mac computer model” and I got a bunch of results. I don’t think I have ever thrown out high capacity hard drives, because I feel like I always need more space. As an amateur photographers I always format old hard drives, get enclosures for them and use them as my external hard drive for all my photos. 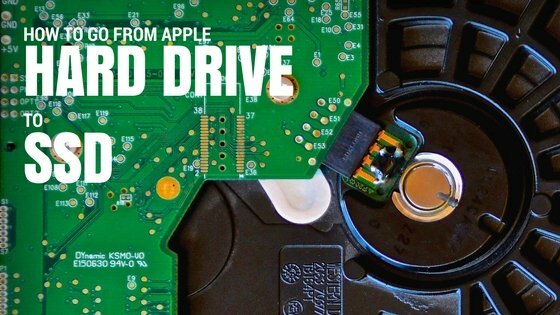 If you don’t feel comfortable changing your apple computer hard drive, then just ask us to do it, after all you are very busy reading bad online articles (like this one). By the way we also carry Apple SSD as well, check out our product list below. This entry was posted in Blog and tagged apple, apple ssd, computer hard drive, mac hard drive, ssd.